When Jered McLaughlin emerged from the mob of red and black Elk River jerseys that had swarmed the ice — the immediate celebration following the junior’s game-winning goal Saturday against Anoka — his coach, Tony Sarsland, found him and hugged him. Those words, which Jered had heard so often from his father, were enough to make him choke up. But with the game on the line in overtime, Jered did just what his father had always asked, scooting around a defender nearly a foot taller than him and scoring his first ever varsity goal. Sarsland told the small, 5-5 player to give himself some time. Those words only fueled McLaughlin to work harder, spending his summer at hockey camps, and playing with his father on the rink his dad built in their back yard. But before Jered’s dreams could be realized, a tragedy struck the family. 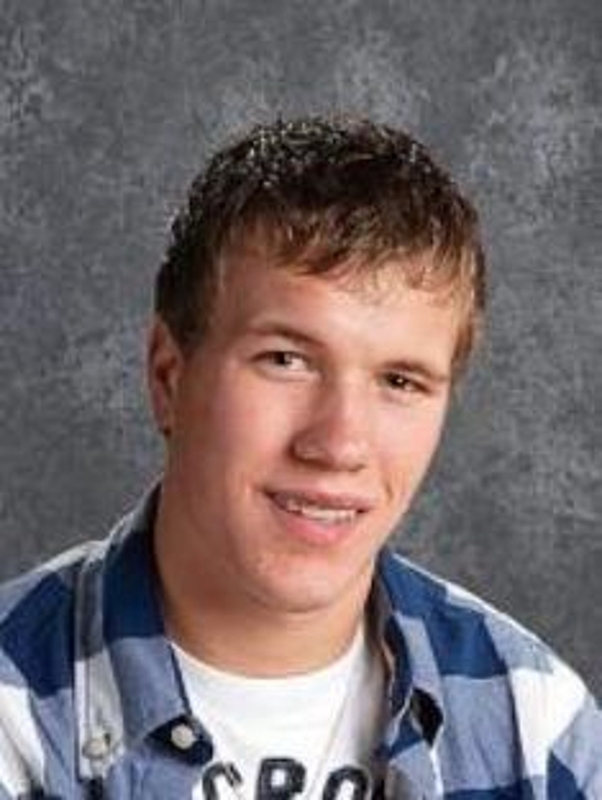 “One night, Dad went out running and he didn’t come back,” Jered said. When they realized he was missing, the family took four-wheelers out across the North Forks neighborhood in search of him. When Jered and a friend found him, Jon already had died of a massive coronary. “Talk about turning your world upside down,” said his uncle, Pete McLaughlin, who is an assistant coach for Anoka. Upside down or not, Jered continued to work with the same determination that his father had always taught him, and in the fall, he made varsity. He followed his first goal Saturday with another in a victory Tuesday over Champlin Park. Although his father wasn’t around to see his glee at making the team, or join in mobbing the ice after his first goal, Jered hears pieces of advice his father has left for him — in hockey and in life — every day. Jered wouldn’t have it any other way.